Krutul D., Zielenkiewicz T., Radomski A., Zawadzki J., Drożdżek M., Antczak A., 2010: Influence of urban environment originated heavy metals pollution on the content of extractives, cellulose and lignin in the oak wood. Annals of Warsaw University of Life Sciences – SGGW. Forestry and Wood Technology, 71, 410-416. Krutul D., Zawadzki J., Radomski A., Zielenkiewicz T., Antczak A., 2010: Comparison of the chemical composition of the fossil and recent oak wood. Wood Research, 55, 3, 113-120. Mańkowski P., Zielenkiewicz T., Boruszewski P., 2010: Iron chloride solution penetration into oak wood. Annals of Warsaw University of Life Sciences. Forestry and Wood Technology, 71, 490-494. Zawadzki J., Zielenkiewicz T., Radomski A., 2010: Migrations of chromium compound in pine wood samples (Pinus sylvestris L.). Annals of Warsaw University of Life Sciences – SGGW. Forestry and Wood Technology, 72, 502-508. Zielenkiewicz T., 2010: Method development of the XRF analysis of metals contents in scots pine wood (Pinus sylvestris L.). Annals of Warsaw University of Life Sciences – SGGW. Forestry and Wood Technology, 72, 514-521. Zawadzki J., Zielenkiewicz T., Radomski A., Witomski P., Drożdżek M., 2010: Testing content of copper In scots pine wood (Pinus sylvestris L.) after preservative treatment. Wood Research, 55, 4, 91-100. Radomski A., Mańkowski P., Kościelniak A., 2010: Determination of Absolute Molar Mass Distribution of Paraloid B72, Annals of WULS -SGGW, Forestry and Wood Technology, 72, 206-212. Zarzyński P., Andres B., 2010: Laboratoryjna ocena możliwości wykorzystania wybranych związków fenolowych naturalnie występujących w drewnie do zabezpieczania drewna lipowego przed rozkładem przez grzyby, Sylwan, 154 (8), 515-523. Zarzyński P., Andres B., 2010: The connection between chosen phenolic compounds occurring in wood and the range of trophic abilities of birch bracket (Piptoporus betulinus (Bull.) P. Karst. ), Folia Forestalia Polonica, seria B, 41, 13-21. 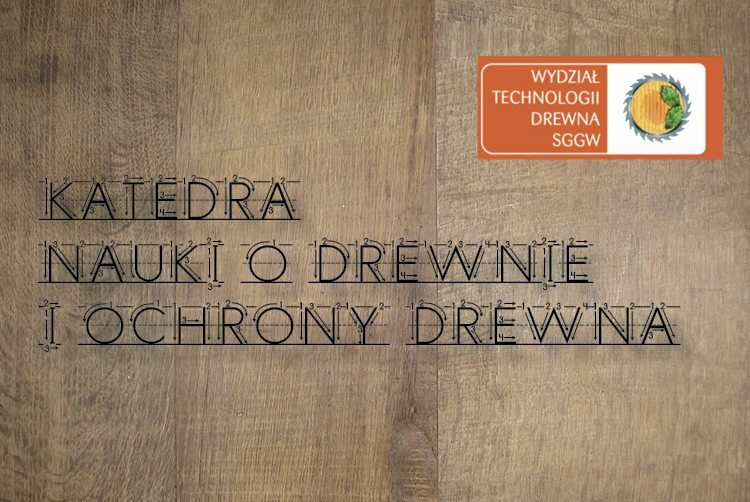 Jankowska A., Kozakiewicz P., Szczęsna M., 2010: Influence of the accelerated ageing chosen species of wood from East-Southern Asia on compressive strength along the fibres, , Annals of WULS -SGGW, Forestry and Wood Technology, 70, 144 – 148. Radomski A., Zawadzki J., Drożdżek M., Szadkowski J., 2010: Non-degrading nitration of pinewood cellulose, Annals of WULS -SGGW, Forestry and Wood Technology.